If you're looking for the best Med Ball in the market you've come to the right place. Elite Power Med-Ball--These durable, weather resistant, all rubber medicine balls are the best available. They are great for physical fitness or therapy exercises. Select the weight you want based on your own needs and abilities. Incorporate Medicine Balls into any group medical, weights, fitness, sport-specific or rehabilitation movement for added resistance. These rubber balls, made with a hollow construction, are great for bouncing depending on the exercise you are trying to do. So if you want the highest quality weighted medicine ball in the market, buy this Elite Power Med-Ball today. With fast shipping, products usually ship out from the warehouse within 1-2 business days, buy today to get your Elite Power Med-Ball as soon as possible. Incorporate Medicine Balls into any group fitness, sport-specific or rehabilitation movement for added resistance. 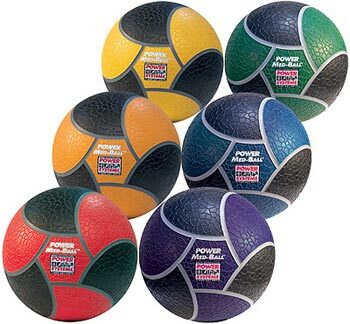 These durable, weather resistant, all rubber medicine balls are the best available. Synthetic rubber shell and hollow construction with textured surface for improved grip. The 2 and 4 lb. balls are the size of a volleyball. The 6 and 8 lb. balls are the size of a basketball. The 10 to 18 lb. balls are slightly larger than a basketball. Order a variety for optimal training. Color coded by weight. 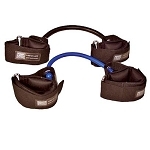 Competitive Edge Products has a large selection of Exercise Equipment. My personal trainer had me use this ball and I really like the way that it works my muscles in a different way, and also seems to increase balance and agility. I really like the feel of this one that I bought on line even better than the one my trainer has. Awesome ball! The grip is fantastic and appears it will hold up to the hardest of workouts. Q: Do these med balls bounce? A: Yes, these Med Balls do bounce! Fast Shipping: Orders for the Power Systems ElitePowerMed generally leave the warehouse within 1-2 business days.